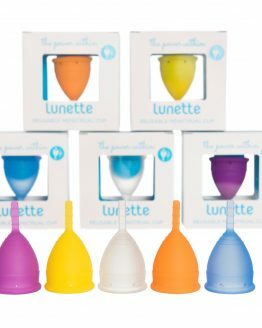 A menstrual cup steriliser is the easy to way to make sure that your menstrual cup stays clean and safe to use. This simple, pop up cup can be used in your microwave to kill any bacteria or germs on your cup. To use this steriliser, unfold it and place your cup inside. Then fill with water covering the cup. Do not seal the lid on as steam needs to escape. Microwave on high for five minutes and that’s it. Your cup is now sterile. This simple and easy to use container makes it easy to keep your cup safe and healthy throughout your cycle. Using the microwave with this special cup is easy and discrete. 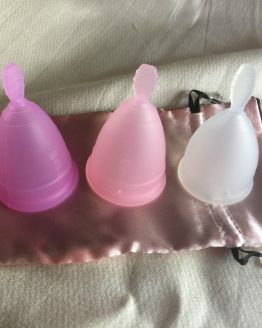 Recent research has shown that a number of bacteria can grow on menstrual cups. 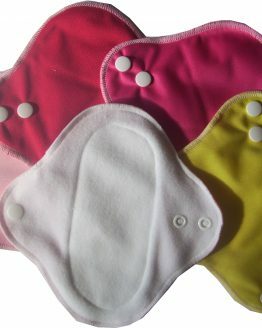 This means that there is a risk of toxic shock syndrome if you do not sterilise your cup. The advice used to be to sterilise your cup between uses. It has now suggested that you might be better to sterilise before each time you insert. This cup steriliser can, therefore, make this easy. 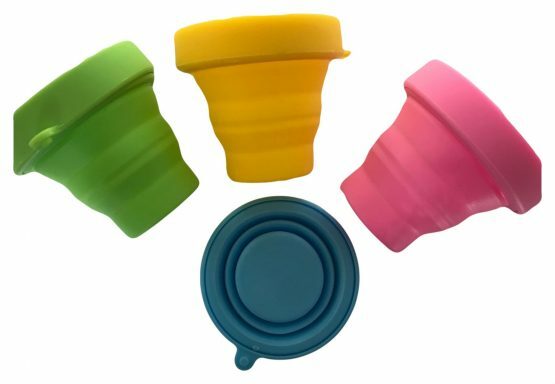 Our collapsible cup can even be stored in the steriliser between uses. You could easily have two cups and keep one in the steriliser ready for your next use. The microwave steriliser folds flat for easy storage. The cup is easy to carry around with you. The cup is discrete, most people would not realise what it was or what it was for. Available in a choice of four bright colours. Choose from green, pink, blue and yellow.